Home » Travel » Vegas – Here We Come! Vegas – Here We Come! Leaving tomorrow for the first time ever to Las Vegas. I have been wanting to do that for a long long time, but every time I started planning, and went to the travel sites, cruise ads came up on my computer and eventually I ended booking cruises instead. I absolute love cruising, but there are so many places in USA I haven’t seen and soon I will cross Vegas off the list. I will come back here after the trip and hopefully I have some money saving tips to pass on. At first the prices seemed so amazingly low. Nice resort style hotels from only $22 and up per night. Turns out that all of them are charging a $25 – $35 daily resort fee. Supposedly that is to cover things as wifi (even though that is listed as free) and use of their facilities. I have seen many reviews where the traveler wasn’t aware of this fee before arriving at the hotel and obviously became very upset. So make sure to read the fine prints on the booking site. We went for The Linq. A cool looking hotel right dead center of the strip. 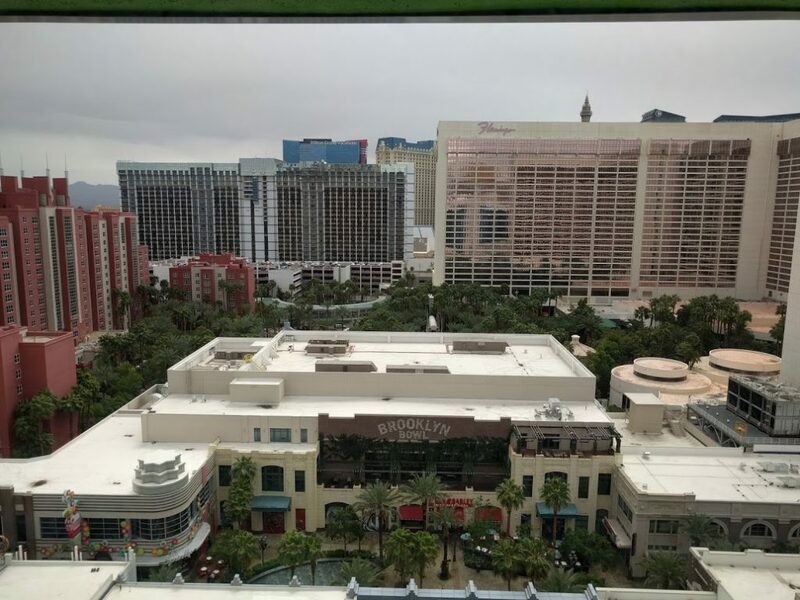 At first we were looking at the Stratosphere and The Luxur, but after reading reviews it turns out that, even though they are listed as being on the strip, they are way south of the strip and people had to take cabs to get to the action. We don’t want to do that. They both looks like really nice resorts and I bet you can easily spend days just explore the resorts by themselves without even leaving them. 1. “The Big Bus Las Vegas Hop-on Hop-off Day Tour”. This is a double decker bus driving around the strip and downtown, where you can get on and off as you please for a day. We will be doing that on the send day. We figure that will give us the “big view” of Las Vegas. 2. “Vegas! The Show”. Of course we want to see a show when we are in Las Vegas and what is more appropriate that a show about Las Vegas. I am looking very much forward to this. 3. “Madame Tussauds”. A must do if you never seen one before. I was at Madame Tussauds in London many many years ago and I was very impressed. Can’t wait to see this one in Vegas. Besides that we will take a day trip by bus to see the Grand Canyon South Rim. What a great trip it was. 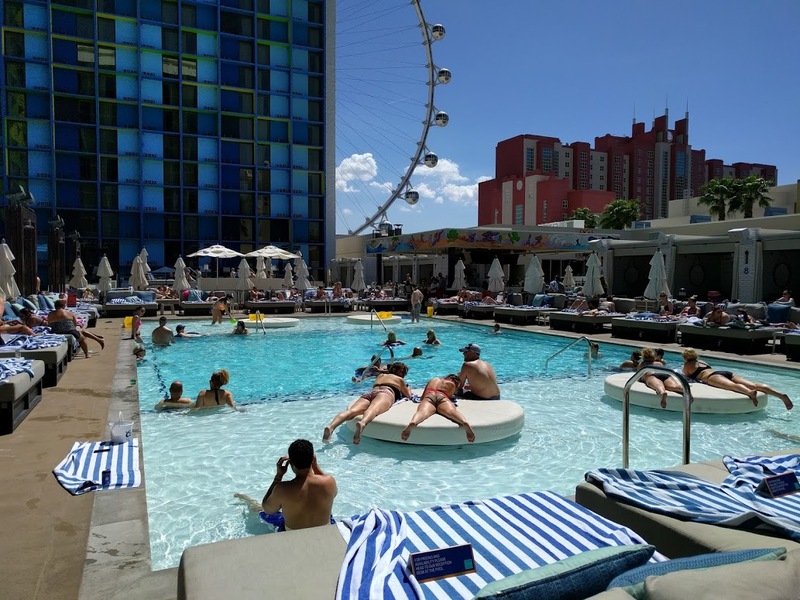 The Linq turned out to be a really nice hotel. I don’t get what the fuss about small rooms is. The room we were in is pretty much standard size room. Just like if you are staying at Holiday Inn Express or Best Western. It was very clean and we managed to get a room on the 20th floor with a view over the pool.